The media industry is amazingly vast. 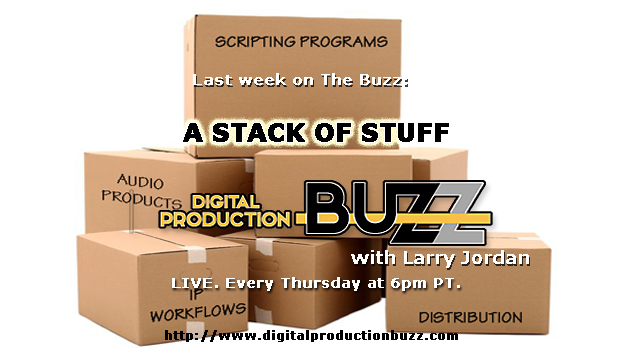 This week on the Buzz Podcast, we took a look at writing a script, with a new way to update script notes as the story changes during production. Plus, there’s some great low-cost, high-quality audio products on the market, and we take an in-depth look at a new media workflow using IP … with emphasis on how it affects broadcast, post-production and distribution. Guests include: Steve Vitolo of Scriptation, Maxim Jago, Dave Willard of Azden, Tony Orme of Orme Solutions Ltd., and James DeRuvo with a doddleNEWS update!